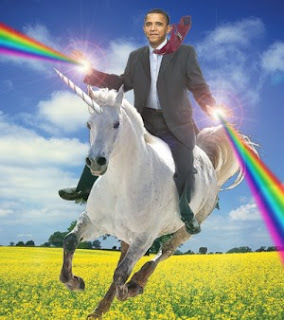 The optimist in me wants to commend Obama for such a brave stance in the fight for marriage equality. But anyone who knows me and/or follows politics knows that there is not much optimism left when it comes to anything a presidential administration does. So the cynic in me wins. And the cynic in me thinks, what took so damn long? Obama's stance is hardly courageous or brave. He is a liberal Democrat (at least he is seen as one) and most liberal Democrats support marriage equality. The trend of American support for gay marriage has been an upward one, and new polling shows moderates and independents, a key demographic that the next president needs to win in November, support it in greater numbers than the rest of the population. If Obama is alienating anyone, it is the homophobic liberal, which is a rare breed. If someone believes strongly enough that gays should be not allowed to marry and would not vote for a candidate because of that, chances are they weren't voting for the black guy with the immigrant father who's rumored to be a Muslim born in Kenya come November anyway. Additionally, let's not forget that Obama has not had some sudden change of heart. He was pressured politically to do this because his vice president was not stuck in some evolutionary process when it comes to civil rights. If Biden doesn't speak his mind on Meet the Press this weekend, chances are Obama stays silent. And finally, there is the annoying habit of Obama to say one thing and not follow through. An eloquent poet by the name of DMX once said, "Talk is cheap..." He's right. Obama's been disappointing for progressives and a presser coming out in favor of gay marriage a day late and a dollar short does little to shore that up. In fact, it could prove just how political—as opposed to principled—Obama has become. So what will come of Obama's vocal support of marriage equality? Probably nothing, considering Obama supports the ability of states to decide their own marriage laws and 30 states have voted for bans, with zero voting for marriage equality. Even if Obama had promised marriage equality, all you have to do is take a gander at Executive Order 13492 to understand how bankable that would be. So while words are one thing, I'd like to see some action from the administration.